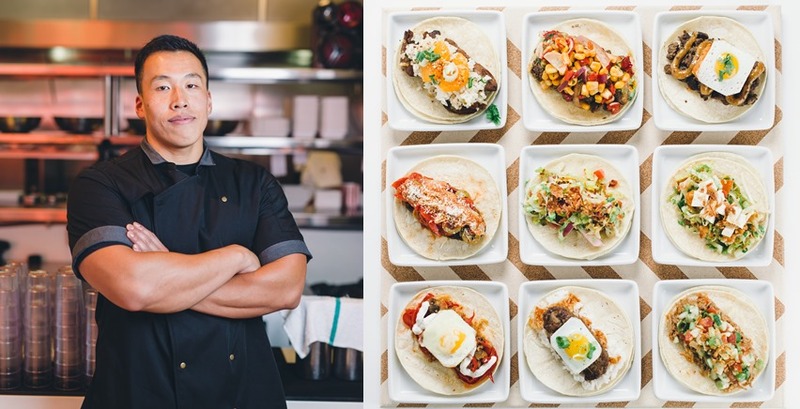 Chef Erwin Tjahyadi opened Komodo restaurants out of the Komodo Food Truck. Now he expands with a new exciting restaurant which is set to open in January of 2017. 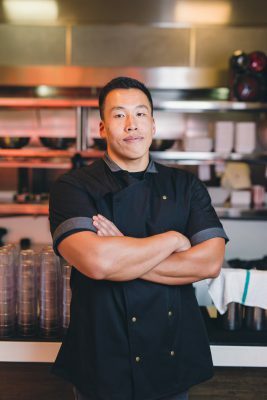 Meet Chef Erwin Tjahyadi in our Chef Q&A in a talk about bone broth, fine dining vs fast casual and what we can expect at Bone Kettle. Let’s start with the basics, how did you become a chef? I first became interested in cooking when I was a little kid watching cooking shows on TV, it was one of two channels that our TV antenna received. That jump started my interest in food and cooking, and it soon became a hobby of mine. I also had jobs working in restaurants as a teen, so I became familiar around the kitchen. I didn’t think of becoming a chef full-time until I was in my early twenties. At the time I was working as a lab tech, but I knew it wasn’t my passion. I found myself looking forward to the end of the day when I would be in the kitchen, preparing dinner. That’s when I made the decision to pursue cooking as a full-time career; I enrolled in the Le Cordon Bleu culinary school in Pasadena, where I graduated with honors. From there, I started out as a prep cook and worked my way up to sous chef at different restaurants around Southern California. I always wanted to own my own restaurant, so when the chance came around to start Komodo in 2009, I took it. Cooking gives me purpose, and I feel very lucky that I get to do this for a living. Long story short you come from a fine dining background, started the Komodo food truck, opened Komodo at a set location and now you’re about to open Bone Kettle. How do you keep up? Being a chef and owning my own restaurants takes a lot of time and commitment. Having a schedule and being organized allows me to stay on top of my workload. I also try to maintain a positive energy and attitude while I work – that sets the tone of the workplace, and it’s important that I set a good example for my team. I also have really good group of people that I work with and can count on. Komodo is California Asian Fusion, your new place Bone Kettle is a little bit different, can you tell us what you will be serving? Bone Kettle draws its influences from Southeast Asia. At Bone Kettle, the main course will be a rich bone broth that has taken 36 hours to prepare that will be served with one’s choice of protein. region, including mie goreng (fried noodles), dadar jagung (corn fritters), and rendang (a slow-cooked spicy meat dish), as well as dessert. Broths have really hit the spotlight recently with Ramen in front, how are your broths different? While Japanese ramen broth is definitely delicious, it is different to the broth we make. Japanese ramen broth is usually made of chicken or pork stock and includes fish, mushroom, seaweed, and onion flavors. Our broth is made by boiling beef tendon, feet, knuckles and marrow (which has a richer concentration of flavor and protein level) in filtered water with onions, garlic, ginger and a mix of dried spices for 36 hours. This results in a richer, herbal and more aromatic quality to this particular broth that I love. In a few words, why should I visit Bone Kettle and what will I love about it? Bone Kettle is bringing something different and new to the community and is worth checking out! You’ll love the dining experience that you’ll get when you’re here: the relaxed yet sophisticated ambiance of the restaurant, the modern and cleanly-designed interior, and of course the rich, bold, and delicious flavors of the dishes. Californian Asian Fusion is kind of a broad term, even more so when you’re serving small plates. Are there flavors or dishes you feel that you have to stay away from or can you try anything on the guests? 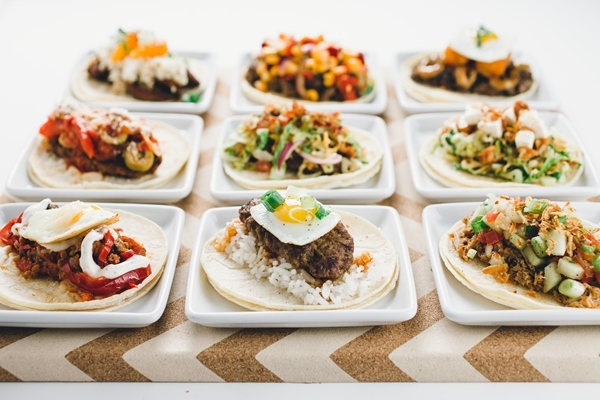 The menu at Komodo is Asian Fusion (we utilize Asian flavors and put them in taco and burrito form). We mix the familiar with the unfamiliar, so most, if not all, can enjoy our diverse offerings at Komodo. 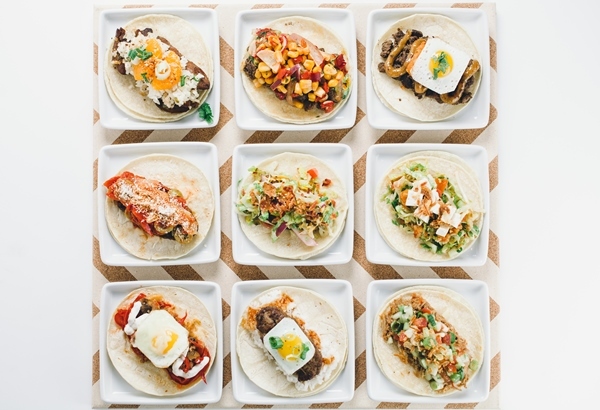 Komodo is designed to be a fast-casual concept that honors diversity in flavors you find in Los Angeles and how awesome the melding of these flavors are. While Komodo focuses on our love story to Los Angeles street cuisine and fusing Asian and Latin dishes together. Bone Kettle is all about Southeast Asian style cooking. The flavors are bold, unapologetic and true to the style of Southeast Asian dishes. Interpreted in a modern way and executed with thoughtfulness and technique. With several business, do you still get to stay in the kitchen or has you role as a Chef changed? As the Executive Chef at Komodo and Bone Kettle, I am the lead creative director of the fare we put out. As we scale our operation, my role is less physical but more mentorship to my cooks and team. At Komodo, my focus is on growing the business and scaling; with Bone Kettle, it is more of a creative fulfillment for me where I can truly share my perspective, experiment with new ideas and do things that are a little bit more unexpected. 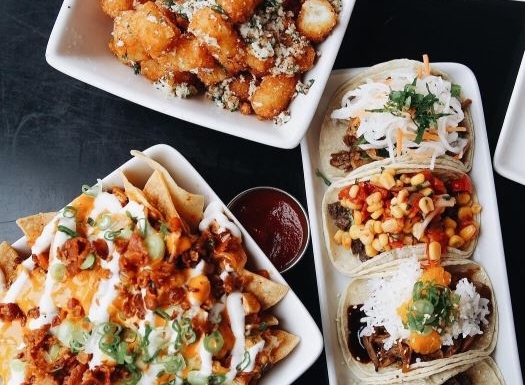 Whether it is a burrito at Komodo or an amuse bouche at Bone Kettle. I oversee the consistent quality and techniques at both places so it keeps me involved with the business. No matter the price point, our customers deserve a stellar quality and consistent experience. You come from a Indonesian background, how much has this had an influence of your food? My heritage has definitely influenced my cooking. There are a lot of wonderful flavors and spices that come from Indonesia and Southeast Asia, and I like incorporating them into the dishes that I make. At Komodo, I’ve included Nasi Goreng (Indonesian fried rice) and Rendang (via our Java Pork taco) on the menu. 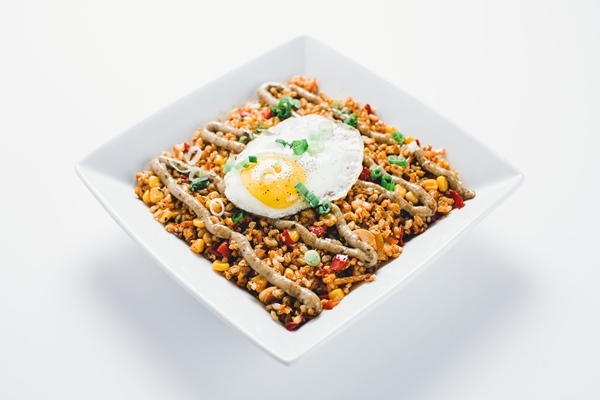 At Bone Kettle, the entire menu includes flavors of Indonesia/southeast Asia. Before Komodo and now Bone Kettle you worked in fine dining, what made you leave that side of the business? Working at Hotel Bel-Air and apprenticing under Wolfgang Puck were huge honors of mine and I definitely learned a lot. One thing that I found is that after a few years, there were fewer opportunities to showcase my creativity. Initially, it was not my intention to leave the fine dining environment; I did not know that I was going to branch out and start my own projects. The 2009 recession hit the fine dining community hard and my colleagues and I were soon laid off from our hotel jobs as a result of that. Applying for another corporate chef job did not seem that enticing, with the grim job market and the uncertainties of available work. My old coworkers at Hotel Bel-Air and I decided to take a chance and purchase a food truck to be in control of our own destinies. It was then that Komodo was born and the rest is history. Building a fast-casual business is very different than a fine dining business; there are different factors in play and I’m grateful to be able to know both worlds. In a way, fine dining has never left me. The training and foundation are still there, which I utilize daily. Bone Kettle is almost like a long overdue comeback to the technique and creativity that I once missed after years diving into the fast-casual business. Can you imagine going back to fine dining in the future? If it makes sense for me down the line, I don’t see why not. I’m grateful to have the experience of working in both casual and fine dining restaurants. I think Bone Kettle is the perfect middle-ground between casual and fine dining restaurants. It is a sit-down restaurant that offers an elevated dining experience while still maintaining a relaxed atmosphere. Where do you like to travel for culinary inspiration? Southeast Asia has a lot of amazing food to try; in fact I was visiting that region in spring of 2016 to gain inspiration for Bone Kettle! I traveled to Indonesia, Singapore, and Malaysia; that trip definitely reinvigorated my palate, and I came back to the States with a renewed sense of energy and creativity. Do you have a guilty pleasure in food, and if so what is it? I try to eat as healthy as possible working out is a big part of my lifestyle. But it is hard for me to say no to a root beer float with Nutella! Thank you for you time Chef and good luck with Bone Kettle. You’ll find Komodo on two locations. The first and original brick and mortar location is on 8809 W Pico Blvd. The second Komodo to open was the flagship restaurant which you’ll find at 235 Main St, Venice just a few steps off Venice Beach. For menus and opening hours visit their website and connect on Instagram and Facebook. Bone Kettle is scheduled to open in January 2017 on 67 North Raymond, Pasadena. For the exact opening date and menus visit them online.